Can Jorge Sampaoli take Sevilla to Spanish football's pinnacle? 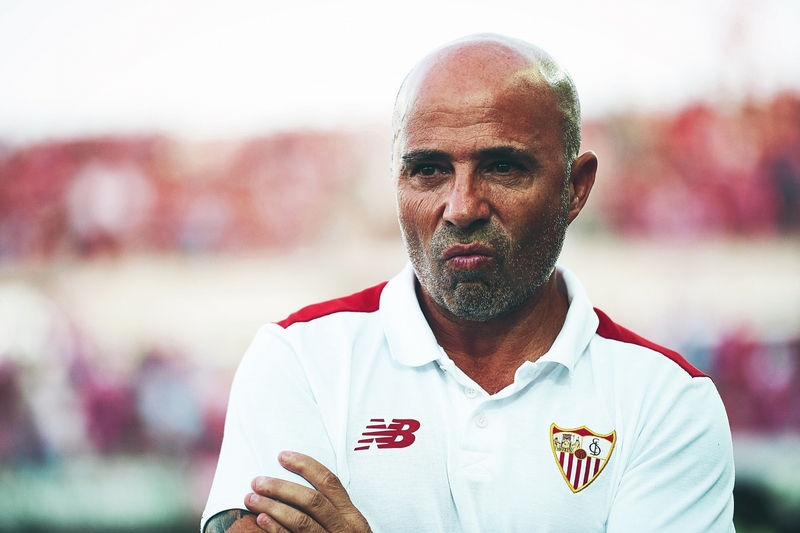 Can Jorge Sampaoli take Sevilla to Spanish football’s pinnacle? After defeats against Real Madrid in the UEFA Super Cup and Barcelona in the Spanish Supercopa, Jorge Sampaoli prepared his Sevilla players for their first La Liga game of the season, against Espanyol. What followed was a performance that almost embodied the animated Argentine coach’s vehement personality. And spectacle certainly hasn’t been lacking since then. Los Rojiblancos have – on their way to sitting in third place prior to the winter break – scored 32 and conceded 21 goals in only 16 games. Most impressively, only Barcelona have defeated Sevilla at the Estadio Ramón Sánchez Pizjuán, and, having finished seventh in La Liga last season, Sampaoli has overseen a swift and effective transformation. This marked improvement is no real surprise, though. Success has generally followed Sampaoli throughout his managerial career to date – particularly in recent years – and a move to Spain seemed almost a natural progression. His aggressive, hard-pressing, possession-based style of football has been quickly adopted by the Sevilla players, so much so that, with the gap to Real Madrid at the top currently only three points, they could be considered outsiders for the title. The final game Sevilla played before the Christmas break was perhaps their most impressive victory of the season to date. A devastating first-half spell of four goals in 10 minutes was enough to see off a hapless Málaga side and leave many admiring the impressive zeal of Sampaoli’s men. “We had our opponents at our mercy,” the 56-year-old said following the win. Sampaoli’s arrival in the south of Spain has left some wondering whether the dominant trio of Barcelona, Real Madrid and Atlético Madrid in recent seasons will finally be disrupted. When Sevilla edged to a 1-0 victory over Diego Simeone’s side in late October, they moved briefly to the top of the league and looked to have gained an impressive level of consistency. The tactical adjustments Sampaoli had introduced were beginning to look almost second nature to the players, thanks in no small part to the amount of work done on the training pitch. Footage from his sessions at Sevilla’s training sessions is available on YouTube, and it proves indicative of how Los Rojiblancos have played this season. Numerous drills focused on team pressing and ball control are meticulously carried out, while Sampaoli eagerly watches on, and sometimes even gets involved himself. The hard work has been put in by everyone at the club, though, with Sampaoli often putting on double training sessions. While Sevilla’s performances this season have earned plaudits, Sampaoli has been a coach that has gone somewhat under the radar, possibly in part down to the fact that he is yet to make his mark on the big stage as such. Why, then, have football purists and admirers of tactical innovators often lauded his unconventional methods? A self-confessed disciple of fellow Argentine coach Marcelo Bielsa, Sampaoli, like Bielsa, started his playing career with Rosario club Newell’s Old Boys. His career was prematurely brought to an end at the age of just 19, however, when he suffered a horrific double fracture of the leg. Sampaoli’s response was to pursue a coaching career, which he began with Aprendices Casildenses, before winning a league title with Belgrano de Arequito in 1996. Here, he built something of a name for himself, especially when his tendency to break into rhapsodic instruction on the sidelines began to appear. Spells with Argentino de Rosario and Peruvian club Juan Aurich followed, before a path that took him through clubs in Ecuador, Chile and Peru. In 2011, Sampaoli arrived at Universidad de Chile, where his ability as a coach began to flourish, and people began to take notice. The club embarked on a period of seemingly inexorable dominance, which included, in Sampaoli’s first year, an unbeaten Copa Sudamericana victory, as well as both the Apertura and Clausura titles. While the tactics Sampaoli employed at La U were clearly influenced by Bielsa’s principles – an emphasis on high pressing, winning the ball high up, and attacking via neatly arranged passing triangles – there was a sense that the former took more of a pragmatic approach. The basic approach was, and still is with Sevilla, to control possession as much as possible in the defensive and middle thirds, before attacking with increased directness and pace in the final third. But at La U, Sampaoli often switched between numerous variations of the three at the back systems, and sometimes utilised a four-man defence, proving that his philosophy is in no way dogmatic. During his time with La U, Sampaoli was said to arrive at training before half past eight in the morning, and not leave before nine at night. When he got home he would sit in bed watching DVDs of football games and regularly analyse games on his computer. Similarly to Bielsa, he is a manager that takes great pride in delving into copious amounts of research on opponents’ game plans, and that level of dedication has enabled him to put across his complex ideas to impressive effect. Sampaoli’s second season at La U was not as imperious as the first, although they did win the Apertura again and reached the semi-final of the Copa Libertadores. But the charismatic Argentine had demonstrated to the whole of South America his profound tactical knowledge, as well as an almost indefatigable desire to succeed. 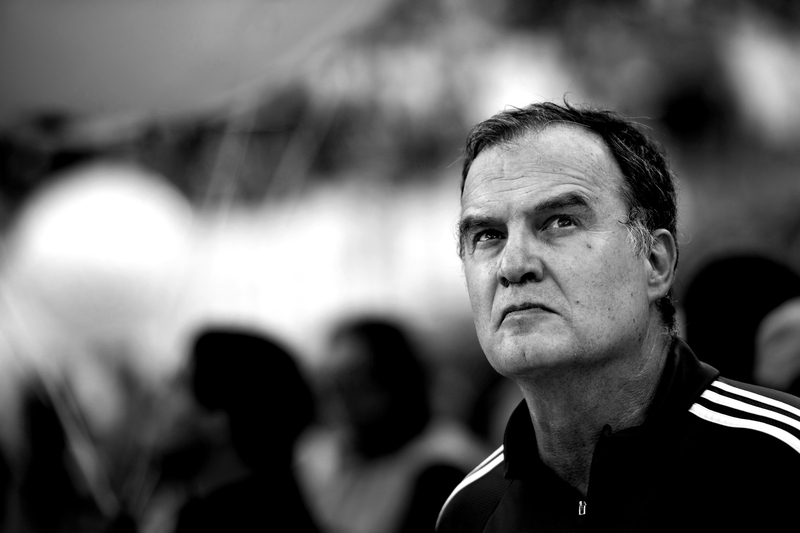 The result of his success was an approach from Chile, and the opportunity to replicate the revolutionary work Bielsa had done with the national team. When Sampaoli took on the Chile job in 2012, they were sixth in their World Cup qualifying group and had just recorded back-to-back defeats against Ecuador and Argentina. They won five of their last six games following Sampaoli’s arrival, however, and qualified comfortably in third place. Chile’s World Cup campaign was to end at the hands of hosts Brazil, but not before a stunning victory over a Spain side that had dominated international football prior to the tournament in Brazil. For many, it was this result – that saw Chile progress from their group at the expense of Vicente Del Bosque’s defending champions – that made them aware of the potential that Sampaoli’s team possessed. There was a swagger and self-confidence about Chile, and there seemed to be no doubt amongst the group of well-drilled players that they would emerge victorious. Spain were afforded no time on the ball, the likes of Alexis Sánchez and Arturo Vidal doggedly closing down at every opportunity. They ran out deserved winners and progressed from what was considered the so-called group of death as runners-up to the Netherlands. “We are the rebels of the tournament,” Sampaoli said. This game was an example of the pragmatism of Sampaoli, who was able to successfully win the tactical battle while sacrificing the majority of possession. His philosophy, as evidenced by the fact that Sevilla have La Liga’s second highest average possession this season, is generally focused on controlling games, but against Spain, Chile were left with just 37 percent of the ball. Having beaten Spain and captured the imagination of much of the worldwide audience with their ferocious but attractive brand of football, Chile next faced the might of Brazil on their own patch in Belo Horizonte. They were defeated 3-2 on penalties, but after the game had finished 1-1 in normal time, came closest to winning the game late on when Mauricio Pinilla hit the bar with seconds of extra time remaining. It ended their admirable run on the world’s biggest stage, but Sampaoli was to build on the progression made in Brazil. Without an abundance of talent to choose from, Sampaoli made the team spirit of his Chile side a priority, and the togetherness that had been built over three years proved pivotal in the Copa América of 2015. A 99-year wait for a trophy was ended by virtue of a penalty shootout, with the added emotional factor that the final against Argentina was played at the stadium of Sampaoli’s former club Universidad de Chile. The side that pulled off this historic success had, under his tutorship, become the epitome of what Sampaoli aimed to create. He often uses the word someter, which roughly translates to conquer or impose. In the Copa América, Chile did both to their opposition, spurred on by their irrepressible, tracksuit wearing coach on the sidelines. The tactical intricacy of Chile’s game was not something that could have been perfected overnight. The foundations were built by Sampaoli from the day of his arrival, in the knowledge that, to play such an expansive, often perilous style of football, a cohesiveness that most international squads are without would need to be created. Not just a tactical thinker, Sampaoli placed importance on motivation and was said to play films specially selected to inspire the players during his time with La Roja, similar to an approach taken by Pep Guardiola. His reasoning was that coaches need to “mix it up” rather than gush their way through a monotonous hour long speech. Motivation was not top of the agenda before the Copa América final against Argentina, however. Sampaoli set about investing hours into analysing Barcelona games, in order to subdue the man most likely to cause problems: Lionel Messi. The Chile players, meanwhile, were told to use a PlayStation in an attempt to find a solution to stopping him. Somehow, Sampaoli found the answer. Charles Aránguiz was the player chosen to man mark the five-time Ballon d’Or winner, while Jorge Valdívia and Gary Medel defended predominantly in the space on the left of the pitch. Messi grew increasingly frustrated and was unable to influence the game. 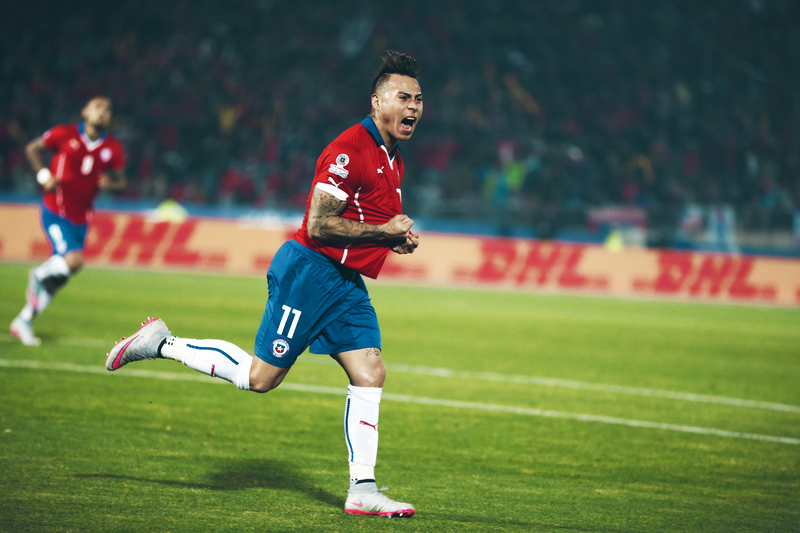 Sanchez’s winning penalty brought with it not just the ecstasy of the end of an almost century-long wait for a trophy, but the vindication of Sampaoli’s unorthodox approach, and what has in a way become known as the Chilean way of playing. It’s certainly not a style of play that is likely to become widely used, nor is it in any way fail-safe, but the attractive football that it brings, as well as the willingness on Sampaoli’s part to take risks, should be appreciated. Like Bielsa, Sampaoli’s intense style of football can be divisive. Those of a more traditionalist viewpoint may see it as overly complicated and risky, while others may be put off by the often excessively combative nature of his methods. The football he demands can be chaotic, but there has been a spirit amongst the players and fans at Sevilla since his arrival last summer, that seems to suggest that his methods have been bought into so far. Sampaoli will be hoping, however, that his time in Spain is not comparable to Bielsa’s spell with Olympique Marseille in 2014-15, which after a similarly promising start, came somewhat undone after Christmas, and was brought to a disappointing end with the news of his resignation after just 12 months in charge. Burnout has been a trait synonymous with Bielsa sides, particularly for critics of his methods, although Sampaoli seems to have avoided that stigma in his career thus far.